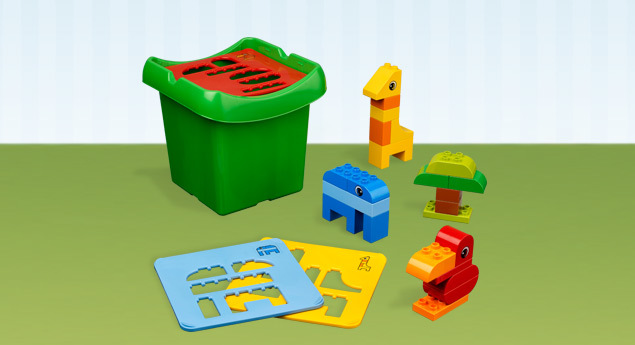 Kate Takes 5: Lego Duplo - 2012 Panel and Review of Creative Sorter. Lego Duplo - 2012 Panel and Review of Creative Sorter. 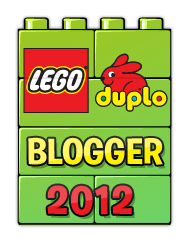 The wonderful people at Lego Duplo, in their infinite wisdom and intelligence, have asked me to be part of the 2012 blogger panel. Yes really. I even have a badge to prove it. What this means is that I'll be bringing you some Lego Duplo reviews over the year and will even be hosting some Lego Duplo competitions so its a win-win for me and you! The age range is 2 - 5 years old but all my lot got stuck into it - dragging the rest of their Duplo out too. The set retails at £17.99 which isn't cheap, but when you consider that it is a toy that will last and last and last (not like so many expensive toys I know that end up in the bin after a few weeks, grrr), plus it's creative and educational then I guess you'd have to say it's money well spent. And now I have some insider information for you. *Whispers* Did you know that Lego Duplo and Lego are interchangeable?? I certainly didn't. But look! It's true! Anyway, to finish up here's a little demo from Marley on how to make an elephant. (Please ignore the little brother whinging for Super Noodles in the background. Of course I never, ever feed them junk like that. Honest). Disclaimer: This toy was provided to me by Lego Duplo to review. All views and children are my own.